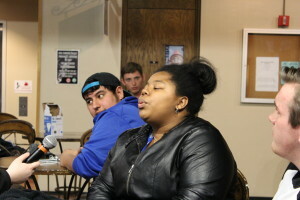 Several DSU students gathered Thursday night, April 8, to share their artistic vocal talents. 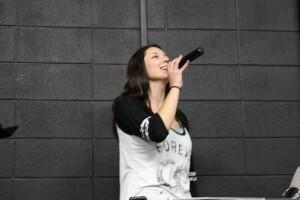 Open Mic night was held in the Underground of the Trojan Center. 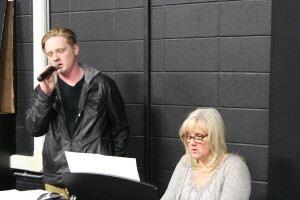 During this time, students were invited up to the stage, not only to sing, but to read poetry, perform comedic stand up, and even beat box if they so desired. Any vocal performance was welcomed. 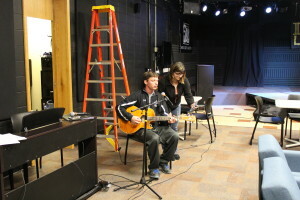 | There are a few Open Mic nights during each semester. Want to win some money at the next one? DSU’s Got Talent (a lot more than just vocal performances) is held during homecoming each Fall semester, and Trojan Bookstore gift cards are the prizes!